Although this photo might look like a screengrab from a dystopian video game, or a made-for-TV zombie film, it's actually taken in the middle of a bustling city in the UK. Mansfield General hospital opened for business in 1890, but the old hospital shut down in 1992. Although the site was sold off successfully, nothing ever came of it, and the building was demolished late last year. 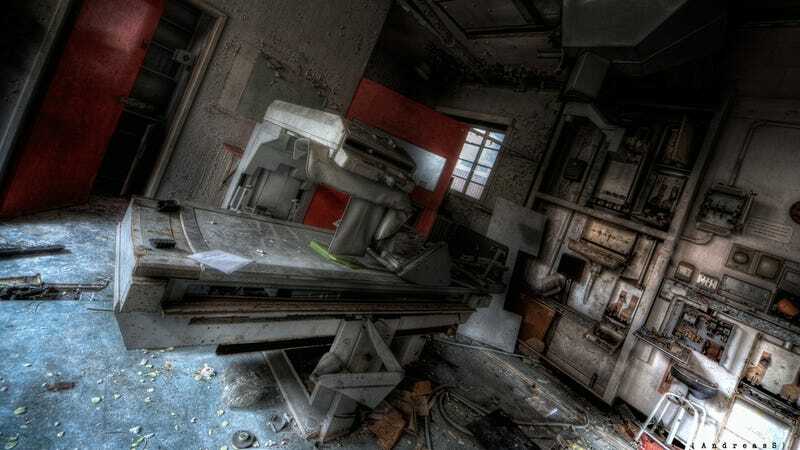 But before it was, an urban explorer snuck in and found this old x-ray machine lying abandoned.